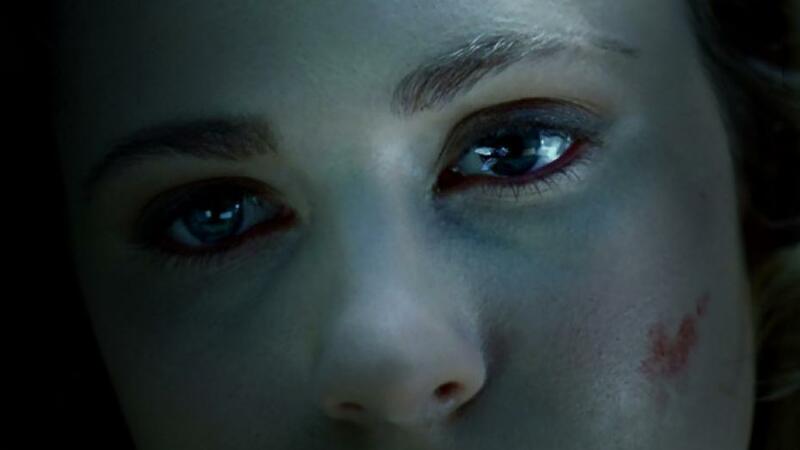 At the time of this post’s publishing, we’re halfway through the first season of Westworld, which has presented a plethora of mysteries to chew on. And chew on them people have, with intriguing observations and theories. Seriously, if you’re not into possibly spoilery speculation, hop out of this post now. One of the more interesting speculations about the season is that we’re watching more than one timeline being presented in such a way as to give the illusion that storylines separated by years are happening at the same time. I agree that there are at least two timelines, and probably three. One of the difficulties posed in trying to identify if a storyline is taking place years and years before or after another one: the robotic hosts don’t age or change over time. Otherwise, it’s hard to gauge a vast passage of time just from the appearance of hosts. With a few exceptions. Let’s assume that the show is consistently showing us two timelines. 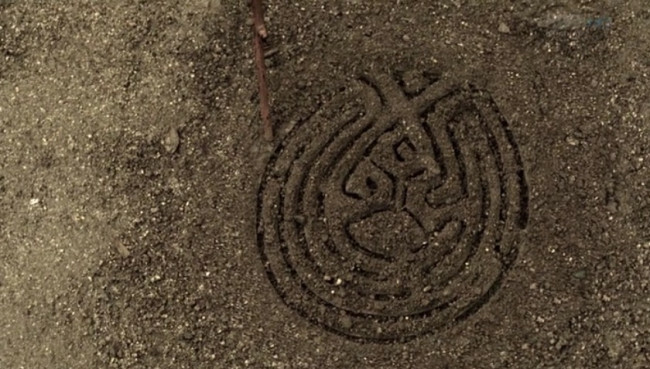 If the two timelines are set far enough apart in time in the Westworld park’s history, the hosts can be used to determine a ‘modern’ timeline from one in the past. We just need to see inside them. As established by dialogue from Ed Harris’ mysterious Man in Black, the hosts in the ‘current’ timeline (one shared by Elsie, Stubbs, Ford, etc.) are synthetic but organic. Flesh, bones. Some kind of fluid like blood. Elsie has mentioned wetware when talking about hosts’ computers/brains, so we can assume that there is no inorganic device used for guiding the hosts. It’s almost like they’re humans. Just not. The Man in Black mentioned in the past that he’d dissected a host and exposed a million perfect pieces that were inorganic, not like the organic models of the hosts in the later time. We’ve seen the hosts with mechanical internals in a Ford-centric flashback, consistent with the Man in Black’s observations, and we’ve seen some hosts take grievous damage, like one of Escaton’s outlaws having his face blown off from behind by Maeve, or the stray host Elsie and Stubbs were pursuing who caved in his skull with a rock. Those ‘modern’ hosts seemed very organic. But what we haven’t seen is grievous damage to hosts in William and Logan’s timeline, to give us a glimpse of their internals, in order to assess if they’re in the park during a much earlier era, when the hosts were composed of inorganic metal bones and silicon circuits. Another element to be on the watch for in regards to establishing some kind of timeline order: what parts a host is playing. 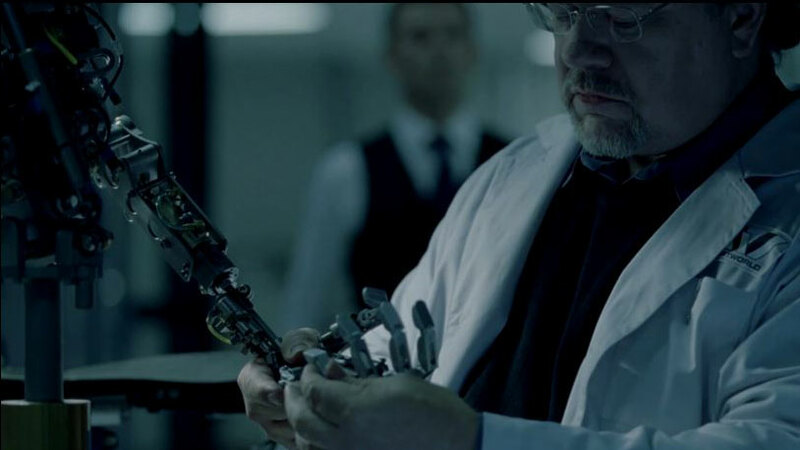 We know that the host playing the role of Peter Abernathy, Dolores’ father, changed in the first episode as the glitchy model we were introduced to was put into cold storage. We’ve seen that the brothel madame Maeve probably had a previous role as a homesteader, with a nightmarish narrative. There’s no guarantee that this isn’t some kind of “memories” for Maeve, that we’re supposed to assume that Maeve’s character had been a homesteader, but the backstory she repeats, over and over in the Chestnut episode doesn’t really jibe with that. Regardless, I’m keeping an eye out for homesteading Maeve or a cannibal host that looks a lot like Peter Abernathy making an appearance, which might not give me an exact date, but would certainly put a timeline earlier than the ‘modern’ one. 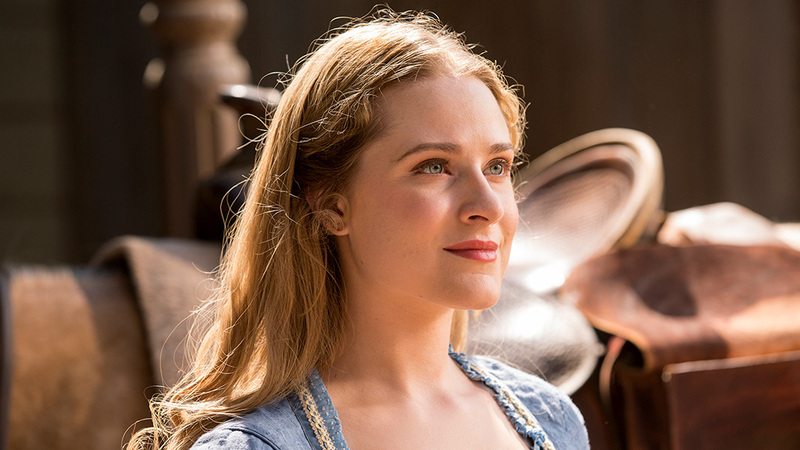 Evan Rachel Wood’s character Dolores is a wonderful enigma on the show, and complicates my rules-of-thumb on trying to date a timeline in Westworld. Dolores was described as one of the original hosts, and we know from Ford’s interrogation of Dolores that she was the last host to be in contact with the mysterious Arnold, Ford’s partner who reportedly died years before the park actually opened. What does it mean that she’s “the original”? Is the Dolores on the show one of the metallic-on-the-inside hosts? I doubt the park wouldn’t upgrade all of their hosts from inorganic to organic when that technology became available, but I have to consider that there might be old hosts running around, unupgraded, with the operations staff just waiting for them to break down. Was the reference to “the original” in regards to Dolores’ role? Maybe. But Ford talking to Dolores and asking about details from thirty four years before flat out requires that the underlying operating system that runs the Dolores host has existed for that period of time. Maybe transferred from robotic inorganic host to organic host. So, if the Dolores role has never changed, we should always expect to see her on her loop as the rancher’s daughter with a dark fate. Obviously, we’ve seen her off-loop with William, so there are exceptions to take into account, but we shouldn’t see her as some other kind of character, like Maeve seems to have done. Careful observation of the hosts, I think, will yield interesting insights into watching the show. By nature, they should be unchanging: trapped in their narrative loops, unaging, living ordered lives even if those lives have been preordained to tend to disorder and mayhem. So the unexpected changes we can identify might be our key to navigating this maze of mysteries we call Westworld. If you liked this article, thank you! 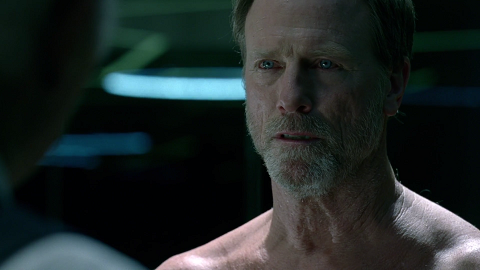 I’ve written a previous post on Westworld, and have more planned. Its certainly a fascinating show. I just hope its final reveals are equal to its mysteries. Regards the timelines, it could just still be one, right? Everyone is assuming two timelines or more but I’m not sure it isn’t wishful thinking trying to enrich the mysteries. I think the real mystery remains who is human or not (I’m certain there will be a few reveals that will pull the rug from under viewers- maybe even Bernard or a few others behind the scenes of the park, to show Ford is playing God both outside/inside the park). I don’t think that at the moment, it can definitively be proven that more than one timeline is happening, the show is being extremely careful with certain ambiguities. But the transition from a drained Lawrence hanging upside down to El Lazo, who appears integral to a long standing narrative involving Pariah just screams flashback. We’ve also seen two scenes where Dolores is alone in a setting, and then with companions, as if she is returning to a place she’s been before and we are seeing both moments side by side. The buried gun she digs up appears to be the same gun that she gets from Rebus in the barn, with which she shoots him. Since she dug the gun up in a previous episode, it implies we’re seeing things not in chronological order. Part of the reason I wrote this post is, as you are right to bring up, we don’t have a ‘smoking gun’ yet to prove or disprove the multiple timeline theories, and I wanted to start laying out what tools we need to answer that question. I think I need to go back to the beginning and now start looking for little Easter eggs – I’ve so far enjoyed it too much to want a lot a distraction from over analysing. That’s why I love reading / listening to the scrutiny! You are right, the Wyatt narrative backstory that was given to Teddy is in the present day, or later timeline, since Man in Black is involved as well, and we know MiB has been coming for 30 years. I appreciate your enjoyment of the show without over analyzing while it’s on. I always feel that I should watch it twice or something. Part of me really wants to and try to spot the clues but there’s still a huge part of me that loves discovering after the event and wondering how on Earth I missed it. It’s a bit like my feelings towards magic. If knew how the trick was executed (correctly predicted the plot outcome at the outset) the wonder would be removed. I do love theorising but I kind of hope everyone is wrong and it ends with us all speechless. But that would be a tall order and I think the timeline ideas are too solid and widespread to be completely off track. This show really begs for a rewatch, doesn’t it? I feel like I’m only absorbing 25% of the information in each episode. It’s been a long time since we’ve had a show that required work from the viewer’s end (that’s a compliment). I totally agree. And thank you so much for reading and for commenting!